D&B Auto Sales of Washington Twp, MI has clean and reliable used cars trucks, and SUVs for every budget. 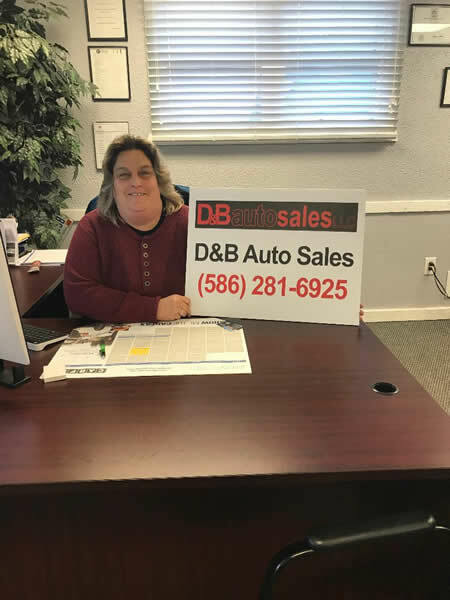 Welcome to D&B Auto Sales in Washington Twp, MI. At D&B Auto Sales LLC., we carry only the finest quality used cars, Trucks, Vans and SUVs available in the Metro Detroit area. Need a Vehicle Transported? No problem, Call Sheri for a free shipping quote. Continental U.S. or Over Seas shipping Available.